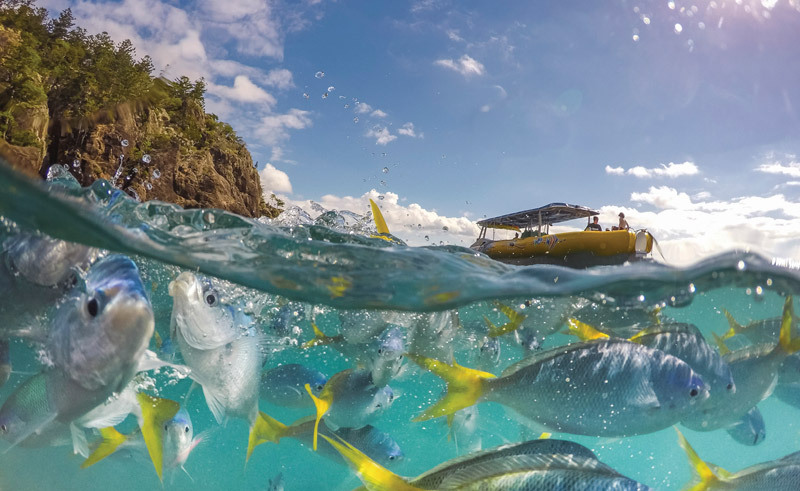 This affordable touring experience includes the chance to visit two of the many islands of the Great Barrier Reef – Fraser Island, the world’s largest sand dune, and Hamilton Island, part of the Whitsundays group. Time is also available to explore lush tropical rainforests and enjoy a visit to a working cattle station. This comprehensive tour focuses on the beautiful beaches and remote islands that scatter the reef off Australia’s east coast. 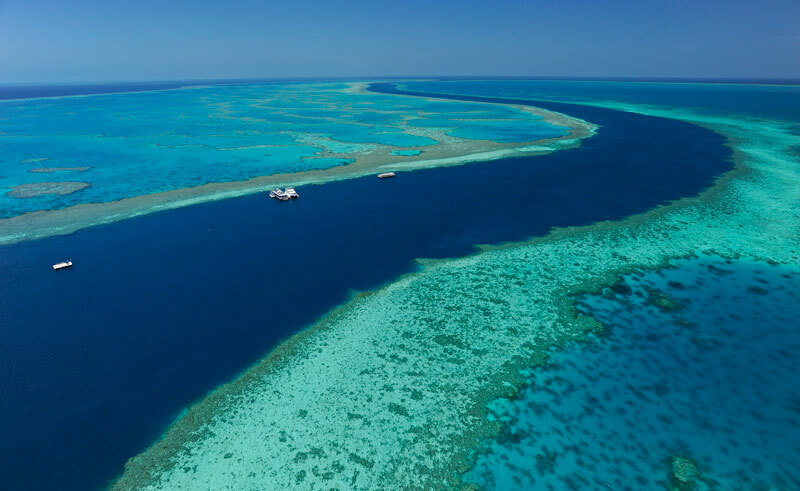 You cannot fail to be amazed by the abundant marine-life and spectacular coral gardens that make up the Great Barrier Reef, and this package offers plenty of opportunity to enjoy the experience at your leisure. But the mainland has plenty to offer too, taking in the glorious beaches of the Gold Coast and the lush rainforests and waterfalls of the Atherton Tablelands. 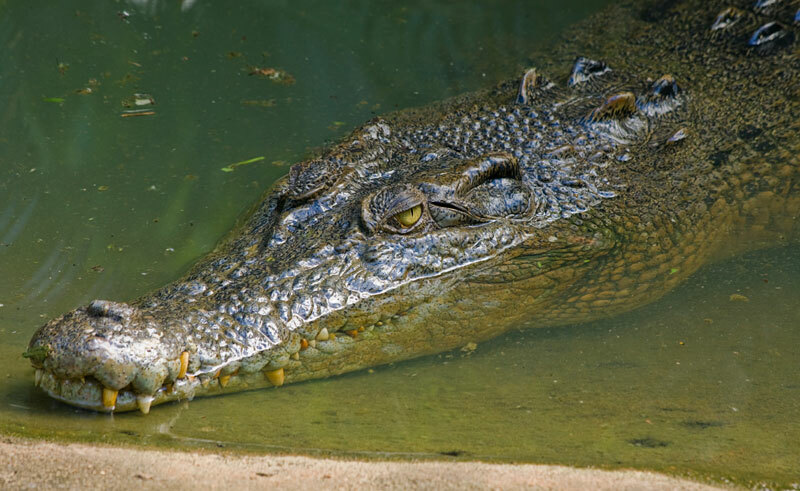 Meet the inhabitants of the late Steve Irwin’s Australia Zoo and visit the cities of Brisbane and Cairns. With a total of 20 meals and a variety of sightseeing excursions included, featuring comfortable hotels throughout, this holiday offers the best of Australia’s remarkable east coast at a great price. Depart Sydney this morning and travel along the scenic coastline of New South Wales towards the Hunter Valley. Visit a winery and enjoy a wine tasting and delicious lunch before continuing north to the picturesque seaside town of Port Macquarie. Enjoy a Welcome Reception and dinner with your Tour Director. Overnight: Waters Edge, Port Macquarie. Lunch and dinner included. This morning journey to the Cape Byron Lighthouse and enjoy superb views from Australia’s eastern-most point. Stop at Byron Bay for lunch (own expense) before following the lush Tweed River Valley to the famous Gold Coast. Tonight is free for you to dine at one of the many restaurants and cafés on the Gold Coast. Overnight: Novotel Surfers Paradise. Breakfast included. Today is yours to do as you choose. You may like to take an optional experience to the stunning Gold Coast Hinterland to discover the rainforest or just take the opportunity to relax and unwind with a stroll along famous Surfers Paradise beach. After a short orientation tour of buzzing Brisbane, visit Australia Zoo, made famous by the Crocodile Hunter, the late Steve Irwin. Enjoy a sneak peek of the Australia Zoo Wildlife Hospital and discover the menagerie of animals, great and small. The Zoo is the ultimate wildlife adventure and its team of over 500 believes in delivering conservation through exciting education. Later travel to the resort town of Noosa on the Sunshine Coast. This evening join your fellow travellers for dinner at a restaurant overlooking the beach. Overnight: The Sebel Noosa. Breakfast and dinner included. Today is at leisure to discover Noosa for yourself. Swim at Noosa Main Beach or venture a little further with an easy walk along the headland through to Noosa National Park. 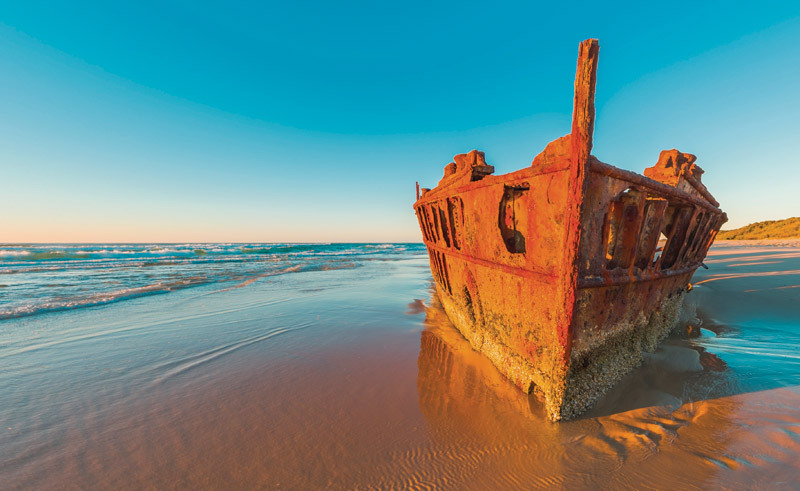 A day of discovery lies ahead as you explore the wonders of World Heritage listed Fraser Island. Your 4WD tour will visit Rainbow Beach coloured sands (tidal) before heading across by ferry or barge to Fraser Island. Walk through the ancient rainforest at Central Station with its huge gum and kauri trees. Visit Lake McKenzie, fringed with magnificent white sandy beaches. Enjoy a delicious barbecue lunch before you transfer by ferry to the mainland for your overnight stay at Hervey Bay. Overnight: Mantra, Hervey Bay. Breakfast and lunch included. Today you’ll journey to the beef capital of Australia. En route, stop at Langmorn Station, a fully operational cattle station. 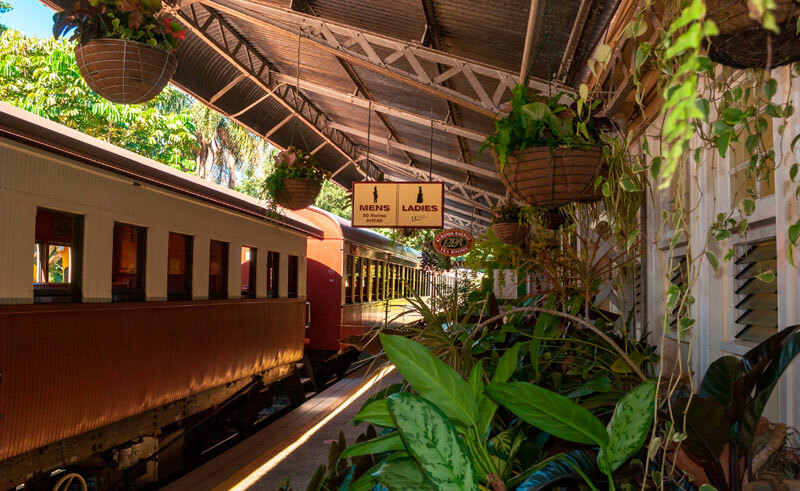 Enjoy afternoon tea at the homestead, a restored ‘Queenslander’ built in 1873. Cross the tropic of Capricorn and continue to Rockhampton on the Fitzroy River. Overnight: Quality Hotel Regent, Rockhampton. Breakfast included. 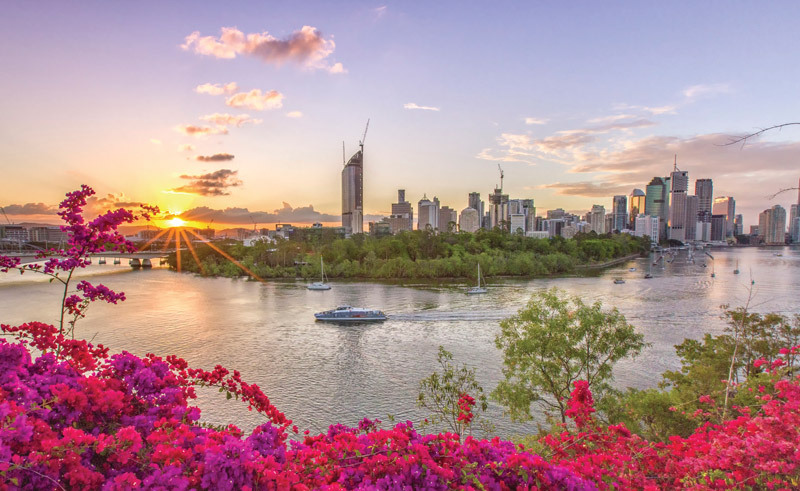 Day 8: Rockhampton – Hamilton Island Travel north to Australia’s sugar capital Sarina, for a guided tour through a sugar mill before continuing to Airlie Beach, gateway to the Whitsunday Islands. At Airlie Beach you’ll take a ferry across to Hamilton Island in the heart of the spectacular Great Barrier Reef. Overnight: Reef View Hotel, Hamilton Island. Breakfast, lunch and dinner included. Enjoy a morning cruise to Whitehaven Beach, voted Australia’s best! Take a walk to a lookout for views over the waters and islands of the Coral Sea. 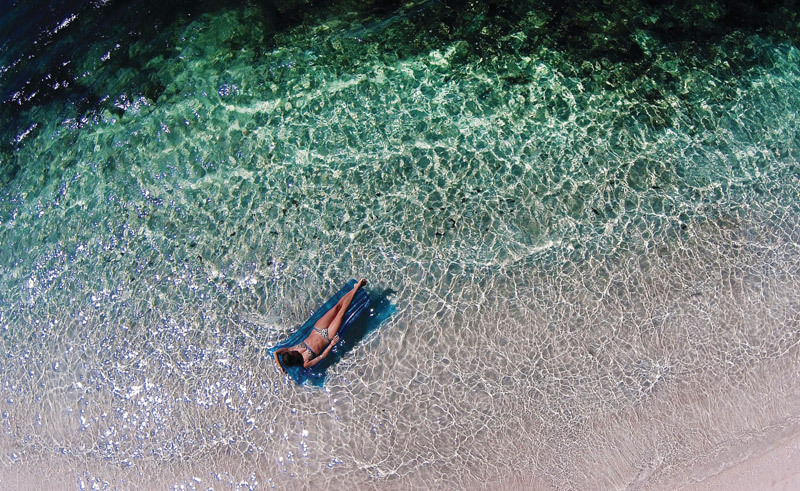 This afternoon enjoy paradise at your leisure. Overnight: Reef View Hotel, Hamilton Island. Breakfast included. Return to the mainland for today’s journey, which takes you further into Tropical North Queensland. 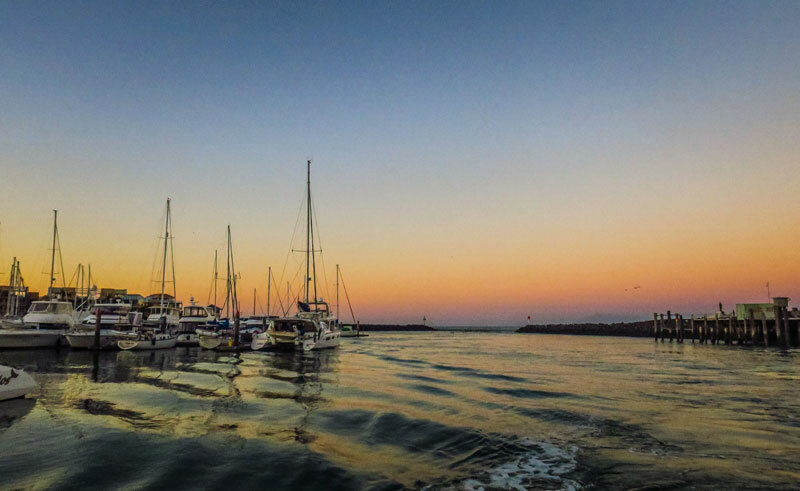 You’ll spend tonight in a resort right on the waterfront at Mission Beach. Overnight: Castaways Resort & Spa. Breakfast and dinner included. Climb the high tropical plateau known as the Atherton Tablelands, where lush rainforests, waterfalls and lakes abound. Visit Millaa Millaa Falls and the famous Curtain Fig Tree. 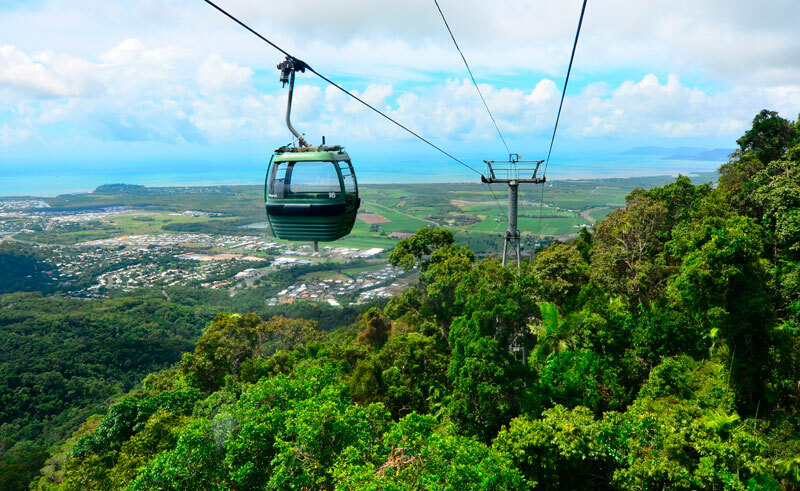 Continue to Kuranda where you will have some free time to explore “the village in the rainforest” or take the optional journey on the Skyrail Rainforest Cableway. Your final destination today is tropical Cairns. Overnight: Hilton Hotel Cairns. Breakfast included. Board a high speed catamaran and cruise out to the Great Barrier Reef. Enjoy a reef education presentation and view the spectacular coral and tropical fish from the underwater observatory and the semi-submersible craft. There is the opportunity to go snorkelling and view this natural living wonder up-close (equipment provided). Enjoy a tropical buffet lunch before you return to Cairns. Celebrate your vacation this evening at a Farewell Dinner with your Tour Director and new-found friends. Overnight: Hilton Hotel Cairns. Breakfast, lunch and dinner included. The legendary Pacific Coast is home to some of mainland Australia’s most spectacular scenery.